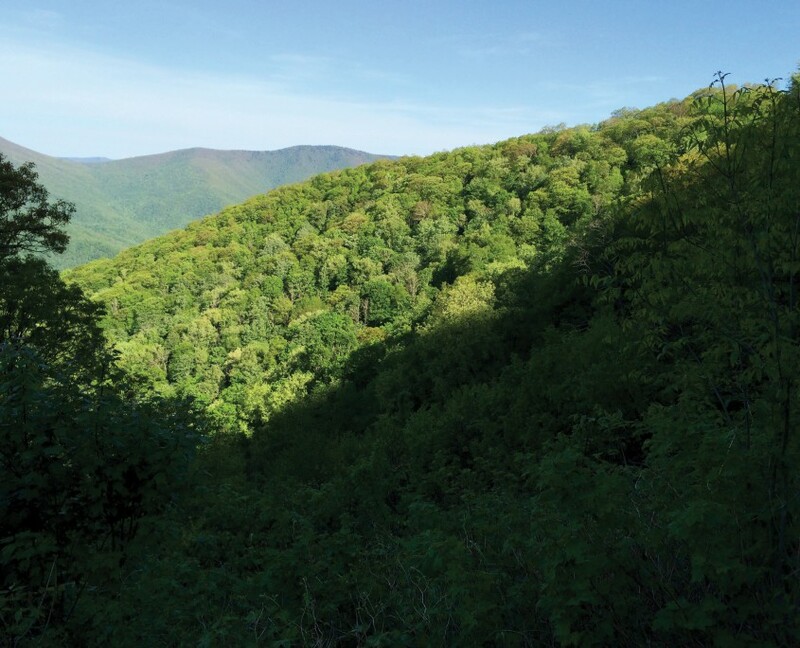 Pinnacle Park | Protecting the Blue Ridge Parkway in N.C. This unique property contains 7.5 miles of streams classified as “High Quality Waters” and “Trout Waters,” and was formerly the water supply source for Sylva. Pinnacle Park is a popular destination for hiking, mountain biking and horseback riding on trails to Blackrock Mountain, Pinnacle Bald, and The Pinnacle, a rock outcrop with 360° views of the Balsam Mountains and the Tuckasegee River watershed. The property contains a diversity of natural communities and rare species. 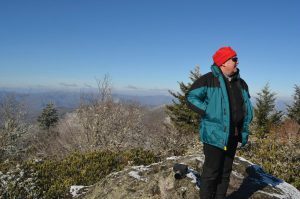 It is located between a 3,320-acre Nantahala National Forest parcel, The Nature Conservancy’s 1,595-acre Balsam Mountain Preserve, and the Blue Ridge Parkway. Directions: Pinnacle Park is located approximately 5 miles from Sylva. Follow West Main St. for 0.5 miles then turn left onto Chipper Curve Rd. Chipper Curve Rd. becomes Skyland Drive after 1 mile. Continue on Skyland Drive for 1 mile then turn left onto Fisher Creek Road (SR 1446). Continue on Fisher Creek Rd. for 2.7 miles and park in the gated parking lot at the end of the road.